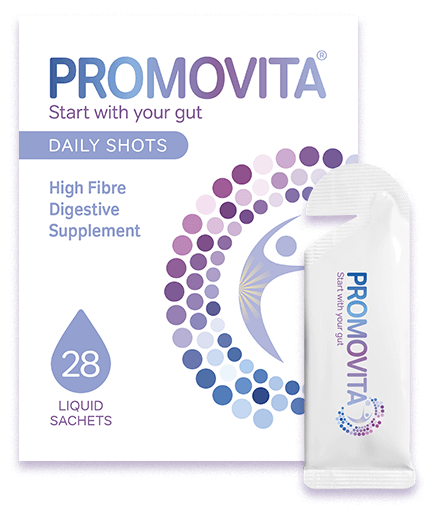 Promovita is a dietary fibre supplement that can help feed the friendly bacteria in your gut. 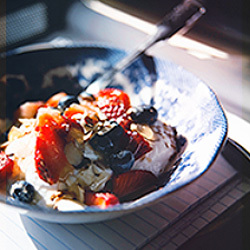 Start proactively nourishing your gut. Inside your gut are billions of bacteria. These make up what’s called your microbiota (often referred to as gut flora). Some are good, some are bad. Finding ways to get the balance right is getting more and more attention, as it can influence the rest of your health. 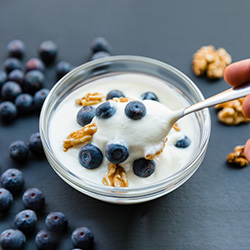 Dietary fibre plays a role in helping the good bacteria to thrive. While it can be found in certain foods, most people don’t get enough from their diet alone. 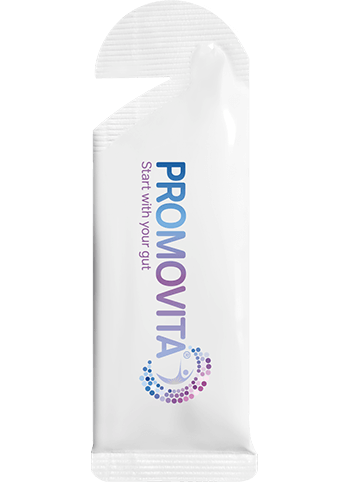 Promovita is a way to feed your good gut bacteria and provide you with more of the dietary fibre you need. It comes in handy sachets you can take anywhere, because life is hectic enough. What is Promovita and how does it work? Promovita is a dietary fibre supplement containing something called Galacto-oligosaccharide (GOS), which comes from the lactose in cow's milk. GOS is a kind of dietary fibre with prebiotic properties. This means it feeds the good bacteria that are already in your gut, like Bifidobacteria and Lactobacilli, helping them to thrive. This is what makes it different from a probiotic, which are live bacteria. Promovita is a sweet-tasting liquid you can add to food and drink. An 8g daily serving of Promovita® typically provides 2.6g of fibre and 5.3g of the active ingredient galacto-oligosaccharide. We’re all about the good stuff, so you won’t find any artificial ingredients in here. Each pack contains 28 daily liquid sachets. Our recommended retail price is £12.99, which is less than 50p per daily sachet. Promovita comes in handy single-shot sachets. So no matter how hectic your life gets, it fits easily into your daily routine. 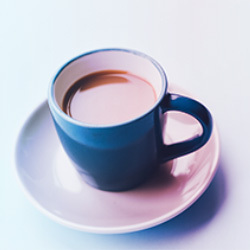 You only need to take one sachet per day, and there’s no right or wrong time – just whenever works for you. Start now. Get it here.